I was watching my daughter who was struggling with the Fidget ladder at the trampoline park. 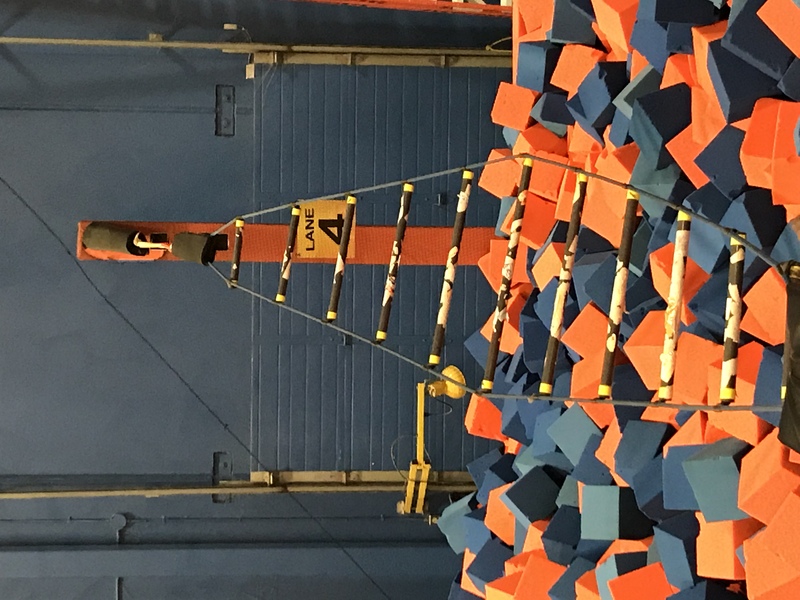 This Fidget ladder is essentially a ladder made with rope that is hanging in the air, over a foam pit. She would attempt to climb onto the ladder, only to lose her balance and flip over and fall on the foam pit. She would continue to try but would not be able to make much progress. Then I saw another boy. He also struggled but he was able to make it to the midway before falling onto the foam pit. I was analyzing his strategy. He didn’t flip over right away because this body was completely immersed with the ladder, lying flat on his tummy. He also moved forward by either pushing his feet or pulling with his arms, with his body steady and close to the ladder. So I shared my observations with my daughter. I told her – lie flat on your tummy, reach forward with your arms and push with your feet. And just like that, she moved through the ladder with ease. Sometimes, we may feel stuck. We may feel we are not making progress. We may want to give up. But before we do, maybe we need to try with a different strategy. A small difference in strategy may translate into big progress and big win. Have you thought about why things are not working out for you? Do you feel the result is the same despite of numerous attempts? Perhaps it is time to change things up. You can’t expect something different when you tackle the problem the same way every time. Take some time to reflect. Pause, go for a run or do something completely different. Perhaps this will help give you a fresh perspective, a fresh angle and a new strategy to address the problem in front of you. But don’t give up. Give it time and try again.